According to the International Monetary Fund, the US and UK economies will expand more slowly in 2017 than previously predicted. The IMF said “weaker-than-expected activity” in Q1 of 2017 meant the UK would grow by 1.7%, compared with an earlier 2% forecast. The IMF also revised down its US growth forecast from 2.3% to 2.1%. However, the IMF’s overall global economic predictions – of 3.5% growth in 2017 and 3.6% in 2018 – remain unchanged. The UK growth forecast for 2018 remains unchanged at 1.5%, but US growth for next year is now predicted to come in at 2.1%, instead of the 2.5% previously forecast. 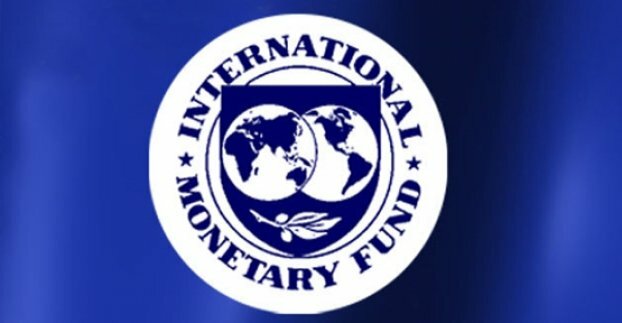 In its latest World Economic Outlook, the IMF said the “pick-up in global growth” that it had anticipated in its previous survey in April remained “on track”. However, the IMF added that while the global growth projection was unchanged that masked “somewhat different contributions at the country level”. It said that the main factor behind its downward revision for US growth in 2018 was “the assumption that fiscal policy will be less expansionary than previously assumed, given the uncertainty about the timing and nature of US fiscal policy changes”. President Donald Trump’s administration had been widely expected to pursue policies including tax cuts and infrastructure investment to try to boost the US economy. However, the chances of Trump’s administration being able to push through these policies now appears less likely. The IMF’s outlook for several eurozone economies was brighter than initially thought, with countries including France, Germany, Italy and Spain seeing growth forecasts revised up. The biggest eurozone revisions were for the Spanish and Italian economies. Spain is now forecast to grow 3.1% in 2017, up from the previous prediction of 2.6%. Italy’s 2017 growth forecast has risen from 0.8% to 1.3%. The euro area as a whole is expected to grow by 1.9% in 2017, up from 1.7%. The IMF said first-quarter growth in many of those countries was better than expected, and that there was evidence of “stronger momentum in domestic demand than previously anticipated”. China’s growth projections have also been revised up, reflecting, the IMF says, “a strong first quarter of 2017 and expectations of continued fiscal support”. Its 2017 forecast has risen from 6.6% to 6.7%, while growth in 2018 is now expected to be 6.4% instead of 6.2%. The IMF hailed China’s “policy easing and supply-side reforms”, including efforts to reduce excess capacity in the industrial sector.